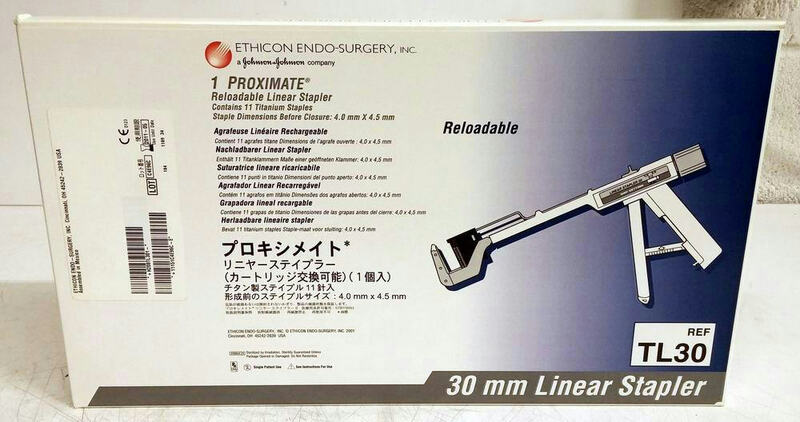 This listing is for an Ethicon Endo-Surgery TL30 Proximate 30mm Reloadable Linear Stapler. It is sealed, new, and unused…05/2011. Packed weight is about 2 lbs. NOTE: The sale of this item may be subject to regulation by the U.S. Food and Drug Administration and state and local regulatory agencies. If the item is subject to FDA regulation, I will verify your status as an authorized purchaser of this item before shipping of the item.